Teachings inspired by the Bardo Thodol; what I call Bardo training. As previously mentioned, I've been researching the area of Death for about 30 years now. It began with the discovery in "Jung's Collected Works" that the death/rebirth archetype made an excellent blueprint for reprogramming the brain and nervous system. Intelligence increase seems a side effect from this strategy. The Death archetype got further imprinted into this impressionable young mindset from reading "High Priest," Timothy Leary's classic, biographical, journalistic account of brain change both personal and historical. The book that really drove home the effectiveness of this technique is one I might have mentioned once or twice before, Cosmic Trigger Vol. I. My researches naturally lead to the science of liberation through sound, aka the Bardo Thodol; working with Death in its literal sense. Surviving death relies upon the axiom that some aspect of our individuality has the capability, or potential for developing the capability to live beyond the death of the body and brain. You don't have to "know" for sure, or have complete faith to at least stay open to the possibility that it could happen. Complete denial of this kind of life extension would likely dampen efforts at bardo training. The opposite, complete, unquestioning belief in the form of blind faith in an afterlife of some kind would appear equally a hindrance - why bother to do anything about death if what's going to happen is a given? It appears completely a matter of personal experience as to how one views the possibility of surviving death. Yes, you can point to much convincing evidence that indicates crossover contact - Aldous Huxley giving a convincing sign to his wife Laura after he died is the classic example given in Cosmic Trigger. We have countless accounts of Near Death Experiences from people who have apparently witnessed some form of life after death. In recent times we see Burroughs' version of the Egyptian death technology in his book The Western Lands which morphed into musical form on Seven Souls by Material, envisioned and produced by Bill Laswell. Whether he knew it or not, Douglass Adams wrote a very educational science fiction Book of the Dead called The Hitchiker's Guide to the Galaxy. Quite a bit of valuable bardo training data in that one. By far, the most practical work for jumping into it is the American Book of the Dead by E.J. Gold. It's basically the Bardo Thodol put into an American cultural context. It also contains simple, precise instructions for how to begin and how to do it. I also consider Finnegans Wake by Gentleman Jim Joyce and Against the Day by St. Thomas Pynchon as Books of the Dead. Yes, objections can be made to all the non-scientifically vetted evidence above - it's superstitious nonsense, fantasy, hallucinations near death etc. That's why I say personal experience determines the key factor in how one sees this. The most easily obtainable personal evidence, in my experience, can be had by doing readings for people immediately after they've left their body or as close to the moment of death as possible. Learning to contact and unmistakeably feeling that contact with a being whose body just died will provide this kind of evidence. I found it interesting and telling that Robert Anton Wilson and Timothy Leary, both proponents of any and every kind of life extension, turned down the cryogenics option - having their brain and/or body frozen with the hope of getting it reanimated at a later date when issues of mortality had been extended or resolved. Bardo training proves to be very useful even if it turns out that nothing survives death, that no afterlife exists. Stanislav Grof put it well in his "Books of the Dead - Manuals for Living and Dying:"
The experiential practice of dying, or 'dying before dying,' has two important consequences. It liberates the individual from fear of death and changes his or her attitude toward dying, and so prepares him or her for the experiences at the time of biological demise, and by eliminating the fear of death, it transforms the individual's way of being in the world. For this reason, there is no fundamental difference for the preparation of death by exploration of dying, on the one hand, and spiritual practice leading to enlightenment, on the other. This is the reason why the ancient books of the dead could be used in both situations. If there is anything in a man able to resist external influences, then this very thing itself may be able to resist the death of the physical body. In this way he relates self-development with surviving death. That quote is from p. 31; on the next page he talks about how to go about getting this crystallization to happen. It's very relevant to this discussion if you have that book available. One of Gurdjieff's heresies taught that humans don't automatically possess a soul, only the potential for making one. Our second axiom: Inner growth makes it possible to form something that can survive death. "On another note...we just got a change in our time slot for the unofficial SXSW showcase. We are now playing earlier at 4pm. It's still the same day, March 17th, but of course this would change right after it was announced in your blog and in our bulk email. We aren't paying to play for this showcase, so that explains the last minute feeling of it all. The promoter says that this new time slot will not change, so we're happy to hear that, cuz we've got a lot of friends out in Austin and don't want to confuse people as little as possible." 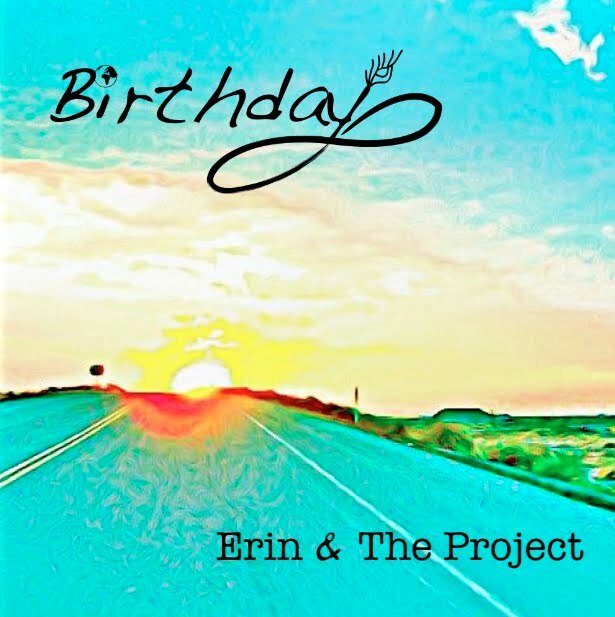 Hot off the press, published for the first time ever in our Solar System, is the latest worldwide musical pantacle from Erin and the Project, Birthday. Yesterday was the album's official release timed to coincide with the birth of the New Moon, and also with the start of Mardi Gras carnivals in New Orleans, Rio de Janerio, Quebec City, Mazatlan, Port of Spain (Trinidad) and probably a few other places too. It's interesting to me when artists plan their release using magical principles because it indicates some awareness of the potent magical vehicle they've created. Magic in it's most basic, common sense definition - something that can cause real change to occur. 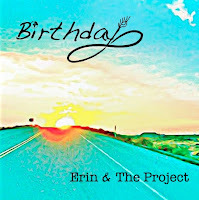 "First off, we just released our new album, "Birthday", and it is currently available on iTunes!! Follow the link below to preview and purchase the album. As many of you know, we had the great honor of working with producer/engineer/mixer, Oz Fritz (Grammy Award winner: Tom Waits "Mule Variations"), on this album. The album features guitar and bass tracks by Jon Axtell (Psychofunkapus, Notorious, etc. ), adding an entirely new psychedelic dimension to the solid drums, keys and vocals that you get at one of our live duo performances. We are very excited to be able to bring our new sounds to all of you listening out there! Next on the list: We recently booked an unofficial showcase during the South By South West 2012 music festival in Austin TX!! On Saturday, March 17th @ 9:30pm, we'll be opening for Love Hate Affair at Stacks Bar located at 208 W. 4th Street! participating in Sideways Media's "Manic Fest Destiny" FREE Day Party at SXSW on March 15th @ Rusty's on 405 E. 7th Street, and they will be supplying guests with thousands of their free music download drop cards featuring songs by multiple artists, including a track from Erin & The Project!" As music industry insiders are aware of, the South by South West festival in Austin represents a prestigious showcase for up and coming artists, as well as presenting what's perceived as the cutting edge from more seasoned performers. It seemed quite serendipitous how the booking came about. I'm not quite sure how the booking agent first heard of Erin and the Project; he was supposed to catch their performance in San Diego but something happened and he couldn't make it. So they sent him the Birthday single which had just gone out as a preview to the Birthday EP. The agent "got it" and booked them immediately. The core members of Erin and the Project consist of the dyadic cyclone of Paul Ezekiel and Lindsay Erin. Paul plays drums and percussion. Now, they are full time musicians but in the past, Paul was a sound engineer, former studio owner, and general contractor. He likes to build things ... out of wood, out of sound, and out of more rarefied materials. Lindsay was a student of Maestro Ali Akbar Khan ( whom I mentioned here re time dilation effects) and attended his music college. I can tell that they were close by the reverence she has for him. Lindsay is an amazing singer with a powerful soaring voice and a passionate delivery though she's also trained and adept with classical Indian vocal phrasings - that probably has a technical name but I don't know what it is. She also plays the keys. I was as honored that they chose me to work with as they were to work with me. Daniel Lanois and others had expressed interest in working with their music, so I felt fortunate to end up with the gig. Lindsay and Paul said they got the idea to look me up when playing in Grass Valley, an audience member shouted out in-between songs, "you should record with Oz Fritz." Well, ok, now I'll confess, it was actually me in a disguise who gave that unsubliminal suggestion. You gotta get your work somehow, right? It worked didn't it?? So, I'll try it again, why not?? Birthdays are always good for making wishes: Attention, Bob Dylan, you should record with Oz Fritz. Lindsay and Paul have the distinction of being only the second ones I'm personally aware of who have actually taken up my suggestion and dived in to the rabbit hole of Cosmic Trigger Vol. I. I've recommended it to dozens. That might hint at the archetypal nature and point of contact their music has with the deeper layers of the collected consciousness. They both appear young so I feel free to use a Jungian descriptor. What that means is that they have the breadth and depth of background in the spiritual arts to effectively transmit ecstatic, exalted, solve et coagula moods and images through their music. Anyone who appreciates Cosmic Trigger will likely key in to their music and vice versa also. The manifestation of Birthday seemed very fortuitous. My schedule turned insanely busy last fall but somehow we found 4 days to record it onto a Pro Tools rig I brought and set up in their living room. This turned into Bear River Studios. Guitar ace Jon Axtell had a couple of days free to drive in from the Bay area and track various shades and hues of electric, acoustic, slide, synthesized, and distorted acoustic feedback guitars as well as bass. His musical instincts were spot on. He had an obvious chemistry with "the Project" evidenced by how his largely improvised parts flesh out the sound. I will give a completely objective, unbiased review of the music at a sooner rather than later date. For now, the music is quite able to speak for itself. We finished our last episode with the startling assertion that raising consciousness can potentially dilate our subjective experience of time passage. I'm not alone with this suggestion. His [ie Dante's] later works included The New Life, a treatise on love, the Convivia; a dissertation in support of humanistic science; and De Monarchia, an eloquent defense on secular as opposed to papal power. The story begins in a very dark place with Leary entering his own personal Inferno. Survival in the future will be based on intelligence increase: expanding the spectrum of information we receive, improving our models for analyzing these facts, and developing more powerful modes of transmitting up-dated signals to others. I make this prediction with confidence and serenity: the Young Ones are ready to Turn On the higher circuits of their brains, Tune In to the awesome strength of their numbers, and Take Charge of evolution. In his bio on Dr. Tim, John Higgs suggests that his closing words, It's about time, seems "a small coded message, not aimed at casual readers ..." Higgs also points out that at one time Leary named the book about his jailbreak escape, It's About Time, eventually published as Confessions of a Hope Fiend. Could time be the key that Leary searched for and found? ...Christians generally describe the "being of light" as Jesus. Jews as "an angel," and non-believers agnostically say it is luminous, telepathic, and intensely loving. The author found it to possess all of these qualities, and also a damned peculiar sense of humor ... But the entity always intently urged that I should try to understand time better. I had a classic experience of being taken into fairyland, undergoing the usual time-warps characteristic of fairy-lore -- I thought I was "over there" for several hours, but it all happened in a few minutes of the consensus-time of the witches with whom I was working. ... Later, I found the whole experience entered as a dream in my diary, two weeks before it occurred. And, of course, all the time I was over there in the Cosmic Fun House, they kept trying to tell me something unintelligible about time." I had a similar experience with respect to a precognitive dream. In 1993, a friend of mine, Nancy Burns, told me of a dream she had about me in a vehicle that drove from the right side, English style. She gave a clear description of the vehicle and the scene and asked if it was familiar to me. I didn't recognize anything from her dream, it didn't sound like any of the recording trips I'd been on. In January of 2001 I finished a session in Miami and immediately boarded a plane for Mumbai, India. Had an all night layover in Mumbai spent eating and taking in the art and ambience of a luxury hotel before catching a morning flight to Bangalore. A driver met me at the gate in Bangalore. I was exhausted, hadn't slept since Miami but when I got into the backseat of his van, I had a very strong deja vu. Then I realized that this scenario perfectly fit the description of Nancy's dream. She had apparently "seen" it 8 years before I experienced it. ... Set dismembered the body of Osiris and scattered the pieces up and down the Nile River. When Isis learned what had been done, she called upon Thoth, the god of Eternity, to stop the flow of Time, so that she could find all the parts of Osiris before the sun set. And Thoth stopped the wings of time, and the universe stood still, and Isis went forth weeping and griefstricken to hunt one by one for the pieces of the dead Lord Osiris. And when she had found all of them, she performed the Black Rite, and eternity gave birth to Time again, and Osiris was alive. This story suggests that the passage of time stops at death but that the awareness of the deceased can survive this eternal moment and take rebirth. Relativity theory tells us that the passage of time will stop for anything traveling at the speed of light. The Tibetan Book of the Dead talks about the Clear Light as the first chamber the voyager goes through after death. It seems very difficult to hang out in that space without getting overwhelmed and blacking out. A common report from people who have had near-death experiences describes moving into an intense light. Could these describe consciousness accelerating to the speed of light at the moment of death thus causing time to stop? Could the flashes or chambers of light that mystics experience in their deeper meditations arise from the acceleration of their conscious awareness until it reaches the speed of light? The flashes might be from only momentarily reaching that velocity. The sensation of awareness seeming to pick up speed and go much faster in deeper states appears familiar to shamanic explorers. The acceleration of consciousness would account for the effects of time dilation in accordance with Relativity. This acceleration of consciousness explains why Crowley, Gurdjieff, and others emphasized concentration and attention exercises. High attention becomes a necessity for entering certain rarefied chambers seemingly invisible until a higher velocity of consciousness blooms forth. Lack of ability, or strength to focus and concentrate attention will simply keep one out of those chambers for the most part. I say for the most part because, from time to time, a practicing voyager will gain admission to rarefied chambers with insufficient attention. Perhaps by having the direct experience of how weak your attention works in the macrodimensions will enough motivation be gained to make it much stronger. One of the simplest forms of dhyana may be called "the Sun." The sun is seen (as it were) by itself, not by an observer; and although the physical eye can not behold the sun, one is compelled to make the statement that this "Sun" is far more brilliant than the sun of nature. The whole thing takes place on a higher level. Also the conditions of thought, time and space are abolished. It is impossible to explain what this really means: only experience can furnish you with apprehension. Dhyana resembles samadhi in many respects. There is a union of the ego and non-ego, and a loss of the sense of time, space and causality. Duality in any form is abolished. As Crowley says, and I repeat, only experience will furnish you with apprehension. I'm going to keep these posts on the shorter side because we have much to digest. I say we because some of this sounds new to me also, at least in the context of how it appears here. Another friend, Jerry Berman, once advised me to pay attention to what I was saying. Not in the sense of carefully choosing words but listening to what you yourself say when communicating. Take it in as you give it out. He pointed out a phenomenon where lecturers can be giving incredible talks, the information just flows right through them, yet they themselves don't listen as they deliver it. Jerry acquired expert status in the field of ancient Egyptian antiquities from assembling a museum in Los Angeles. Going with him to the Egyptian wing at New York's Metropolitan Museum increased my ancient Egyptian information exponentially. He can, and does, talk for hours on the subject. One time I was in London working with the band Blur with Bill Laswell on bonus songs for a Greatest Hits package. We had an unexpected day off, so I went to the British Museum. I was walking around the museum recording the ambient acoustics of the different rooms onto a portable DAT when I heard a familiar voice as I approached the Egyptian section. There stood Jerry lecturing away; I suddenly felt right at home. He didn't even seem that surprised to see me ... like if you're giving an impromptu talk on ancient Egypt, seeing Oz walking around recording the ambience seems a totally normal thing! Time appears as the enemy- connected to entropy, the wearing down of life and growth, the complete opposite of Life Extension. Entropy, related to Newton's Second Law of Thermodynamics, basically states that energy in any closed system tends to run down. Gurdjieff called Time the "Merciless Heropass". He regarded it as a cosmic problem which "Our Endlessness" solved by creating the material universe. In his view, the problem of life extension reaches far beyond our biological containers. In Gurdjieff, Making A New World, J.G. Bennett maintains that Gurdjieff's ideas could all get traced back to his centrum of gravity question: " What is the sense and significance in general of life on the earth, and in particular of human life?" This may seem like straying far afield from the topic of life extension yet I feel if one can gain a deep sense of the value of life through realizing a purpose or purposes to it; life extension will seem a necessity, and as a result of that driving necessity, the problems facing it will get solved. To be blunt about it, you will tend to live longer if you have something to live for, something(s) you have to live for. A teleological direction that requires life extension to meaningfully proceed will eventually solve the problems of time and death because it has to. For exploratory purposes we will now tentatively adopt my "working assumption," later described in detail, that humans are present on Spaceship Earth only because they have an ultimately-to-become-operative, critical function to perform in Universe -- a function of which humanity, in general, is as yet almost unaware. . . .
We will now also assume that this biosphere's omni-controlled environment can successfully nurture, grow, and develop such an abundance of ecological life support as to be able to accommodate the only by shockingly wasteful trial and error education of humans in preparation for their ultimately-to-be-employed-and-maintained semi-divine functioning in Universe, as local Universe information harvesters and local Universe problem solvers in support of the integrity of eternally regenerative scenario Universe, provided, however, that, if after the billions of years of their development, those humans living right now can and do pass their final exam for graduation into this semi-divine functioning. Living and functioning past our normal life-span would qualify as semi-divine functioning. My thanks to C.J. Fearnly's blog for exposing this essay to me. Gurdjieff shared Fuller's view that humans had a role to play in "cosmic maintenance." Interestingly, Gurdjieff and Fuller met several times, in the 1920s, at a popular bar in Greenwhich Village on 8th street just a few doors down from where Jimi Hendrix built his recording studio, Electric Lady, in the '60's. Fuller decided he didn't want to be a guru like Gurdjieff because he didn't want the dead weight of followers. I once arrived early for a Robert Anton Wilson lecture. He showed up early also and said to the dozen or so of us, "alright, now's your chance. Ask me anything you want to, anything at all." No one else spoke up so I asked him my version of Gurdjieff's question, " what is the purpose of human life on earth?" Wilson replied, " to be the eyes and ears of God." His answer kind of floored me, to say the least. So if you find a function that requires extending life then your form will follow. This "law" seems isomorphic (ie same organic shape) with Crowley's "law." As we proceed in this essay, I will show how much progress has already been made in the direction of going out of time and into space, and in the science of bardo training - preparing conscious awareness for surviving the onslaught intensity and energy release of biological death. I will also show how, basically, Bardo Training = Life Extension. Not necessarily living longer, but extending life by waking up and experiencing more of it. Bardo training eventually leads to time dilation. You get more life by going out of time. Bardo training likely does extend physical life because it advocates and highly recommends intimate awareness and personal application of what Leary called the 14th stage in his 8 circuit model. Self-directed hedonic engineering, which concerns learning the bio-chemical nature of your human machine for maximum energy efficiency. Learning nutrition, what foods work for you, which ones slow you down; practicing some kind of yoga or maritial art; sensing and controlling the subtler energies of the nervous system etc. etc. In other words, taking a health-conscious, knowledgeable and respectful approach to maintaining the temple of the human body, emotions and intellect seems to help with the production of vital life energy. There's much more to it than I'm mentioning here ... you get the idea. The human biological container appears programmed for obsolescence. To attempt to live longer, in whatever fashion, we again appear as going against nature. We, again, struggle with Set - both poetically as the Egyptian God symbolizing our nature, and also perhaps psychologically with a set of assumptions programmed and conditioned into us to consider death as some kind of finality we get resigned to with no hope or recourse of action. Break that set, why don'tcha? The thought that Einstein had in his teens was this: "What would the world look like if I rode on a beam of light? Suppose this tram were moving away from that clock on the very beam with which we see what the clock says. Then, of course, the clock would be frozen. I, the tram, this box riding on the beam of light would be fixed in time. Time would have a stop . . . in keeping up with the speed of light I have cut myself off from the passage of time." - how it reads in The Game of Life. Another way to state the S.M.I.2L.E. formula: Time tends to dilate as one begins to go ahead with intelligence increase and space exploration. We cannot put our bodies on a vehicle traveling at the speed of light but Leary suggests that conscious awareness can accelerate and even reach the speed of light and he gives a formula for how to do this. Again, don't take my word for this, you won't ever know or accept the possibility until direct experience occurs. I know this sounds farfetched to most, but it only seems slightly more farfetched than the notion of extending the human life-span 200, 300 years or more which is what they were talking about and projecting when S.M.I.2L.E. first hit the airwaves. I'm not up on the latest longevity science and don't intend to research it for this essay. I'll leave that to my esteemed colleague Dr. Michael Johnson and others. I'm approaching life extension from the point of view of experiencing it more directly, intensely, wakefully - extending it experientially within the alloted biological time given. Activating higher brain circuits extends life by dilating time. I have experienced this myself, have witnessed dramatic instances of it more than once, and have heard a few reliable and convincing eye-witness accounts. Also would like to make it very clear that I'm am absolutely not talking about, alluding to, or suggesting using drugs of any kind in any way. Timothy Leary's name and reputation often incurs a reflexive association with LSD advocacy due to a thick fog of media gloss still looming over his name in repressive, conservative circles, yet he clearly had moved on in later life. LSD can act like an atomic explosion on the nervous system and this analogy holds true with potentially lethal radioactive fallout. I can tell you right now how to have an experience that feels psychedelic without taking any drugs. It's called the presence exercise and requires either a partner or a mirror. You sit facing each other about 3-4 feet apart. Relax each of your body parts starting with the toes, then the feet, etc. working your way up. You don't need to spend too much time with this. Then drop the facial mask. Look at the other person or into the mirror and diffuse your vision. This means, without moving the eyes, looking straight ahead, define your full visual range then try to see everything in that field without focusing on any one thing keeping your vision diffused the whole time. Try this for at least 15 minutes to start. A variation on this starts the same way but when concentration appears to get broken by someone, their partner will say, "break, what happened?" The person will say something like, "I thought something funny and smiled," or whatever it was. Any response gets accepted and the exercise resumes. Break if anyone feels at all uncomfortable or it gets too heavy. This is also called a "being-contact" exercise - a great way to get past social games to know someone on a deeper level. Also, see what it does with your sense of time. Tom Jackson over at RAW Illuminations posted an old essay by Robert Anton Wilson circa 1977 relevant to the recent topic here: S.M.I.2L.E. I hadn't seen this before, and a few things stood out for me. Didn't know Mark Train wrote an essay called Man, A Machine. First heard this idea from Ouspensky via Gurdjieff. Currently, the most complete investigation and practical application of this model in book form exists as The Human Biological Machine as as Transformational Apparatus by E.J. Gold. Prometheus Rising by Robert Anton Wilson works in similar fashion but makes less overt reference to the model 'Man as machine.' However, he makes it quite clear in I Robot, the title of the essay. When the robot awakens and becomes a self-programmer, it can easily have all the goals promised by the alchemists: The Stone of the Wise, the Medicine of Metals, True Wisdom and perfect Happiness. All of those traditional terms are metaphors for the awakening of Intelligence-squared. Practicing the exercises in Prometheus Rising and/or The H.B.M will expand the mind and therefore constitutes neurological space migration. Finding ways to break free and go beyond conditioned belief systems, getting out of habitual reality tunnels, even just temporarily, inevitably results in space migration. We bias Here to Go, as Burroughs, Gysin, Crowley, and Groucho cheer us on with this slogan. Changing out of a reality tunnel suit if only for a casual stroll down Alternity Way also goes by the modern psychological term "breaking set." Christopher Hyatt (not his "real" name) describes breaking set very clearly in an Introduction to The Eye in the Triangle by Israel Regardie. To see examples of breaking set in action, watch any of the classic Marx Brothers films. The Brothers Marx constantly messed with and agitated reality tunnels in playful, humorous, non-violent, and non-hateful ways. Have pity ! show no pity ! When men let angels fret them ! "HOOR and SET be TWINS." A fico for repentance ! This poem has a dedication to Austin Osman Spare ironically Crowley's oppositely charged twin of sorts in some occult circles. Phil Baker in his Spare biography suggests this could read as an encoded love letter. Perhaps on a base level this holds true, but it overlooks the inner alchemical symbolism that Set = the individual's natural tendencies and habits. In this scenario, the reception, integration, and crystallization of expanded consciousness goes against nature. It doesn't seem natural to wake up the robot. The H.B.M. talks about a defense mechanism to the waking state. In terms of Leary's 8 circuit model the first four "terrestrial" circuits take shape, through imprinting and conditioning, as a natural course of living and growing up in whatever culture and society one gets born in. The four "extra-terrestrial" circuits usually remain below conscious awareness. For the potential meta-programmer getting to know hirself, resistance gets encountered as soon as they attempt to permanently reimprint/recondition the terrestrial circuits or activate the post-terrestrial circuits. Some systems suggest not trying to change anything at all at first but instead observe the self and gather data. This, however, results in some change by the principle that the act of observation changes the thing observed. Reimprinting/reconditioning shows up metaphorically in Crowley's poem as the death/rebirth archetype. A highly recommended film that has as one of its themes - higher consciousness learning to get along with ordinary conscious - is Beetlejuice. They won't let me post this clip here but if you watch it you'll see a good personification/representation of the atavistic, chthonic type of critter that crops up when starting to shine the light of awareness into the subconscious mind. I highly recommend viewing this clip when you have an extra 5 minutes. Seeing film segments outside the context of the whole film puts them in a whole new light. This clip also demonstrates a classic 'loser script' the subconscious likes to throw at most, if not all of us from time to time when it gets annoyed from being prodded out of quiescence. Robert Anton Wilson refers to this same loser script somewhere in Prometheus Rising, if memory serves. See if you can tell what I'm talking about. Relativity theorizes that the faster an object travels the slower time goes by for it in relation to other objects not going as fast. In 1971 two scientists, J.C. Hafele and R. E. Keating set out to verify this idea by putting four atomic clocks on regular commercial flights and flying them around the world twice, once traveling eastward, then going west measuring the change in time relative to another atomic clock positioned on Earth at the U.S. Navel Observatory. Their findings said: These results provide an unambiguous empirical resolution of the famous clock "paradox" with macroscopic clocks." Time sped up relative to the Earth's surface when traveling west and slowed down, or dilated when traveling east in the same direction as the planet's rotation. Time dilation as allowed by Relativity means that someone traveling on a rocket away from Earth will age more slowly than the people they left behind. It's been suggesting that a practical application of this phenomena would allow travel to nearby stars without having to spend a whole lifetime getting there. However this requires a new, as yet undiscovered system of propulsion. The Orion Project was a serious effort at designing spacecraft with a new method of propulsion using a series of atomic bomb explosions. Concern over fallout ended it in 1963 even though these explosions were supposed to occur in Space. This interests me because in at least one instance in Against the Day Pynchon lets some dynamite explosions get used as a metaphor for migration to alternate spaces. This apparent non sequitur leap into literature makes more sense if you saw the last post, maybe. The image of a rocketship speeding away from Earth into Space powered by a carefully timed series of hopefully non-radioactive explosions at a high enough velocity to enable serious time dilation recalls one of William Burroughs' instructions for humankind to "get out of time and go into space." He echoes this theme with the last words in The Western Lands ( his take on the Egyptian Book of the Dead) "Hurry up please, it's time." Whatever you feed into the machine on subliminal level the machine will process--So we feed in 'dismantle thyself' [...] We fold in writers of all time in together and record radio programs, movie sound tracks, TV and juke box songs all the words of the world stirring around in a cement mixer and pour in the resistance message "Calling partisans of all nation--Cut word lines--Shift linguals--Free doorways--Vibrate 'tourists'--Word falling--Photo falling--Breakthrough in Grey Room." Can literature take us out into space, that endlessly vast space and spaces outside our conditioned reality tunnels? Shaking William Burroughs hand as we met catapulted me into a heretofore unknown space and awareness which I wrote about here. If part of that dude's awareness really existed out of time in some alternate space then it had a magnetic effect because it certainly felt like a timeless moment to me. I can recall two other instances where it distinctly felt like time became suspended a little, or stretched out. One happened the first time I ever saw Robert Anton Wilson lecture. It was at the Open Center in New York sometime in the late '80's; Peter Lamborn Wilson introduced him. Seemed like RAW took us all on a free form journey through cutting edge ideas of brain-change technology, conspiracies, zen jokes, zen riddles, and witty commentary on current events. To be honest, I don't remember exactly what he talked about, only that I got a very strong contact high. He took a break about 90 minutes in but it felt like I'd been there forever and could have stayed forever. I told my ex-wife as we got into this large elevator, that it felt like time dilated, which I'm sure is the first time I said those words aloud, not realizing that RAW was on the other side of this freight elevator. I glanced over at him to see him looking intently at me; he had overheard what I said. The other time I'll mention was at a Ravi Shankar concert at Carnegie Hall with his classic band of Ali Akbar Khan on sarod and Alla Rakha on tablas. When it ended it felt like I'd only been there for 10 - 15 minutes although three hours of clock time had elapsed. The music definitely entered timeless chambers and disconnected me from consenual reality except in the most basic navigational sense. It felt like traveling through the heavens on sound and trance with Shankar the Guide steering the way. Somewhere Gurdjieff talks about the excellent acoustics of Carnegie Hall, and how they had a sacred quality unlike anywhere else in the world. He directed several dance performances there. Good acoustics + top of the world music = a non-chemical pyschotropic effect of great magnitude - seems how it works for me. The time principle dominates in the case of consciousness manifesting in primitive forms. It is thus in the massive or numerical sense preponderant, for not only is the bulk of human life under its sway, but as well all of subhuman life. In the historic sense Spengler is right when he says that spatial comprehension comes into dominance only as a culture flowers. It is born and sustained in this world with difficulty. But, on the other hand it wields the ultimately victorious force. The cosmic integration of Sir Isaac Newton is a good illustration of the power of the spatial principle. He gave an especially strong impetus to the conceptual grasp of the universe under law. By supplying a command over a planted time mystery that had held humanity in its thralldom before his day, he effected a substantial degree of liberation for human consciousness. A considerable sector of time-mobilized nature now stands definitely conquered by man as a result of the spatial understanding introduced by Newton and other men like him. When you have an extra 10 minutes, theoretical physicist Michio Kaku gives an excellent interview on how new data from the WMAP satellite project can quite possibly redefine our concepts about Space. He also mentions another satellite system called LISA - Laser Interferometer Space Antennae - scheduled to go up in five or six years which again could radically change our understanding of Space. LISA consists of three satellites to be positioned in a triangulated formation three million miles apart from each other. "Whatever is asserted (i.e. derived) of anything as a whole is linear, tautologic evidence that it is partitative of an unpredictable multiple untotality of the thing." - Austin Osman Spare as quoted by Phil Baker in his excellent biography subtitled, The Life and Legend of London's Lost Artist. It was part of an annotation on a Christmas card he sent to a close student, Frank Letchford, that consisted of a self-portrait sketch he called, "Arabesque of a 'thing' in thought thinking." Shortly after the last post here, Newt Gingrich talked about establishing a colony on the Moon. Then I saw an interview on Facebook with my brother-in-law ( not technically - married to a close family friend) John Matson, an editor with Scientific American, pointing out on MSNBC that, currently, the U.S. has no way to launch someone into Space, and has to rely upon the Russians to get to the Space Station. Meaning limitless, I guess. An open-ended, mutually interactive, interdependent and reciprocal feedback system of infinite growth and potential. Space Migration (S.M.) will make you more Intelligent (I.2) and extend your Life (L.E.). Likewise, getting smarter leads inevitably to space migration of some sort and extends life. What are you going to do when you live longer? Go places and increase intelligence ... learn about different stuff! Back in the day, Leary and Wilson spoke of space migration strictly in terms of establishing residence off of this rock. Getting out of this, however-many-mile gravity-well that keeps us mostly stuck to the Earth's surface. The assumption then, that Higher Consciousness would flourish in Outer Space freed from the constraints of gravity. I guess it would turn into constant levity... who knows? At the moment, it doesn't appear happening anytime soon though interest remains strong in certain quarters. Therefore, I will look at space migration in a completely different way, what could sometimes be called inner space exploration. Yet this doesn't hold strictly true because space migration also includes all the spaces you go through in your everyday life. The simultaneously apprehended awareness of both inner and outer environments fits the description P.D. Ouspensky gave for Gurdjieff's instruction to "remember yourself" in his book In Search of the Miraculous. Inner space exploration, or at least the possibility of such exploration and mood alteration, occurs naturally, all the time. Whenever we pick up a book to read, listen to some music, surf the net etc. etc., we enter different kinds of spaces that affect us one way or another. Many of these spaces seem quite useful to enter - they can influence and inspire. drive to work in the car Chamber to the Chamber where we're employed, surf a few Chambers on the web etc. etc. A Chamber includes the physical or metaphysical ( in the case of books, music etc.) space and anything in it. Most of these routine spaces seem commonplace, often barely noticed. However, each space, each localized environment, each Chamber can affect our mood, consciousness and state of well-being ranging from so subtle as to fall below conscious awareness to strongly life changing ... usually somewhere in-between. Anyone, through sufficient self-observation, can verify that environment affects consciousness in lesser or greater degrees. Sometimes quite profoundly which gets popularly described as 'a religious experience.' This explain Timothy Leary's emphasis on the importance of "setting" in his 3 guidelines for shamanic space exploration: set, setting and dosage. I want to stress that these guidelines apply with or without using drugs. Dosage doesn't necessarily refer to any ingested substance. Gurdjieff mentions somewhere in All and Everything that the physical space made by the architecture of a building alters the consciousness of anyone who enters it. Even a resolute atheist materialist who knows absolutely that all spirituality, religion and metaphysics comprise sham and mumbo jumbo can't help but having an exalted feeling when they enter places like St. John the Divine Cathedral in New York or Notre Dame in Paris. These spaces appear intentionally designed to raise consciousness without need of religious dogma. It definitely works for me, partly, no doubt, due to the rich harmonic acoustics in those Cathedrals and what they do with the sound. Wonderfully sonorous acoustics makes music for my ears no matter what the sound source - a door closing, someone coughing. John Cage's 4'33" constantly plays in spaces and places like that for me. I've made a whole library of ambient recordings of interesting architectural and cultural buildings from all over the world. The conscious awareness of moving from Chamber to Chamber goes by the term "voyaging" in bardo training parlance. Bardo training ostensibly derives from the teachings of the Bardo Thodol, The Tibetan Book of the Dead, but has widespread applications in life as well. Bardo training essentially deals with navigating space, and handling, overcoming or circumventing all the obstacles that spring up along the way. One theory suggests that the obstacles and blockages encountered in life- some of which correspond to what Wilhelm Reich called emotional armoring - will crop up as the same issues to handle in death. This makes sense according to another theory which postulates that bardo spaces entered right after the body dies consist of the unraveling of the subconscious mind combined with an extreme dilation of subjective time in the moments before brain death. S.M.I.2L.E. seems to connect space and time into a single continuum as do current theories in physics. Becoming generally familiar with some of these theories can increase intelligence regarding space travel ( of any kind) and time dilation. Einstein pointed out in his Relativity theories that the measurement of anything physical depends upon the frame of reference of the observer, and that no absolute frame of reference observably exists that can make absolute physical measurements. James Joyce, Aleister Crowley and others applied relativity to metaphysics and consciousness research. The spacetime continuum gets measured in dimensions. Theoretical physicists don't agree on how many dimensions exist, some string theorists postulate as many as 26, Bucky Fuller listed 14. The commonly held view consists of three spatial dimensions and one of time. Herman Minkowski devised a four-dimensional coordinate system and measurement grid known as Minkowski Space. Points in this space signify "events" in spacetime. Time and space are simply functions of velocity. You can examine the time increment or the space increment separately but they are never independent of one another. Musical spaces, the reception and integration of them in recording studios or concert halls followed by their transmission through mass media will be the focus of another post. Suffice to say here that the 4 dimensions physicists use to measure spacetime have their correlations in the construction of an audio sound environment even with stereo sound ( as opposed to 5.1 surround sound.) The frequency range corresponds to height, the pan position defines the width dimension, dynamic range gives depth, and rhythm measures time. Robert Fripp, who I got some of these correspondences from, wrote an article many years ago for Musician magazine where he pointed out patterns in architecture follow the same mathematical relationship as patterns in some musical scales. It follows then that a mixer can speak of an architecture of sound, and that this 'architecture' can potentially have similar consciousness altering properties that Gurdjieff talks about above. One of the intentions of invocational magick, or shamanic exploration, involves accessing nonordinary spaces that may provide some kind of gnosis. It's sometimes done by creating a model of a Higher Dimensional space in an isolated chamber and forging some kind of connection through the principle of sympathetic resonance. A recording studio makes for a good isolated chamber to experiment in this way. More on this later. Another future post related to the value of space migration will examine the powerful effect Rock Concerts can have to alter consciousness in profound ways. Right now I'll discuss one such instance because it lead to an understanding about a book I'm currently reading. As I pondered over what the Hell I was going to write about space migration, I recalled spaces I'd migrated to that had life changing results. I'd had a significant epiphany at a Who concert circa late '70s early 80's that led me to experiment going to concerts after engaging upon certain shamanic type activities that I'd picked up from the usual suspects. I went to David Bowie's Serious Moonlight concert at Calgary's McMahon stadium about 3 hours before the first act in order to ensure a spot up front. For about 2 hours I sat in the warm afternoon sun and did rhythmic deep breathing unnoticeable to my fellow attendees. While breathing and while waiting right before the start and in-between set changes, I auto-programmed the suggestion to "open myself to receive Higher Intelligence." I also had a small dose of a very potent South-East Asian herb just before Bowie went on. I considered the experiment a success. One of the highlights came when Bowie sang Heroes. I had the very distinct irrational sensation that Bowie channeled these lyrics from somewhere else and that they carried great importance. I, I wish I could swim. Like the dolphins can swim. At the time, well-steeped in John Lilly's theories suggesting the higher intelligence of dolphins, this read to me as actively playing in the field of transcendent consciousness or something like that. Though nothing, nothing can keep us together. I wondered, why just one day? Fast forward approximately 30 years and I'm reading Thomas Pynchon's Against the Day. That book migrates through many spaces often nonlinearly in a way that recalls bardo voyages. Does Bowie's just for one day correspond to Pynchon's Against the Day? Are they referencing the same kind of day? Pynchon's book has many archetypal motifs so logically it makes sense for the title to refer to an archetypical day. Then I recalled a movie Robert Anton Wilson said ( in a forum post) was the best example of magick he knew of on film: On A Clear Day You Can See Forever. What can we tell about this Day? Well Bowie, who on an earlier album sings of being immersed in Crowley's uniform of imagery, says that we can be heroes on that day. Robert Graves in The White Goddess linguistically connects the Hero archetype with Horus. Robert Anton Wilson has a character in Illuminatus! named Doris Horus. 83 + 10 = 93 which represents the Horus current among a few other very interesting and relevant things. Pynchon writes knowledgeably, if obscurely, of various obstacles that crop up in the way of "seeing forever." Against the Day. A main character, Webb Traverse whose name suggests bardo voyaging, gets killed pretty early but his death continues to inform some of the plot lines well into this thousand plus page tome. In my opinion, Pynchon alludes to Horus when he writes of a young boy trying to earn money to get back home to East 93rd street. He works for a Mr. Archer and has to learn how to handle a horse driven wagon. In magical terms Set is the epitome of dormant subconscious atavisims. These gods may then represent various evolutionary processes to the individual. Horus, perhaps, symbolizes newly awakened abilities and functions of some kind. Set, perhaps, as the subconscious complexes and emotional armor that resists the leap to a permanently realized higher velocity. This relates to a saying I heard years ago: In the bardo you have no enemies, you have yourself. Maybe you have enemies in other areas particularly if you are in law enforcement or the military or politics, but in the science of brain- change, magick, bardo training, the biggest obstacle appears to be yourself. As mentioned earlier, some theories say that bardo spaces cross the observer's event horizon as a result of the conscious apprehension of the subconscious mind which seems to unravel more and more as you approach the point of biological death. Bardo training therefore consists, in part, of diving in and attempting to perceive and become familiar with areas of the subconscious mind long before death. Making the subconscious conscious also represents stated goals of both Gurdjieff and Crowley in their systems of voluntary evolution. I welcome and would love to hear dissenting, opposing or alternate views. Heroes was produced by Brian Eno and features guitar playing by Robert Fripp. Bowie was inspired to write Heroes after seeing two lovers kiss at the Berlin Wall. To him it symbolized overcoming all obstacles.